Let’s talk about this smooth, summer-y dessert for a minute! Crumbly red velvet cake as the crust. Smooth, sweet cheesecake as the middle layer. 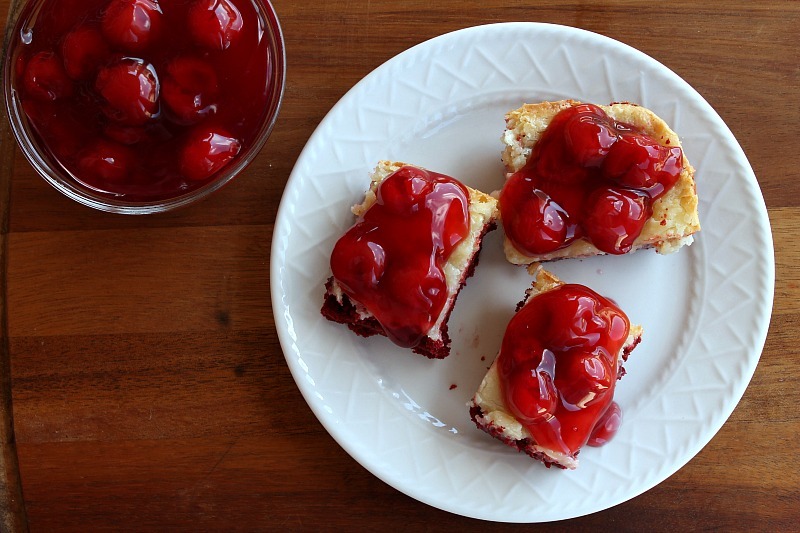 Topped with perfectly sweet-tart cherries. This just might be my favorite dessert of the summer, and it’s time for you to try it! Spray 9 X 13 pan with non-stick cooking spray. In a medium bowl, combine cake mix, 1 egg, and 8 tablespoons of melted butter. Use a hand mixer to blend thoroughly. Press the contents evenly across the bottom of the prepared baking pan. In another medium mixing bowl, combine 2 eggs, 8 tablespoons of melted butter, cream cheese, and vanilla. Blend thoroughly with mixer. Add powdered sugar and beat until smooth. Pour the cream cheese mixture over the cake crust. Bake for 45 minutes. Center will still be shiny and very gooey. Do not over bake. Cool completely. Spread pie filling over the top. 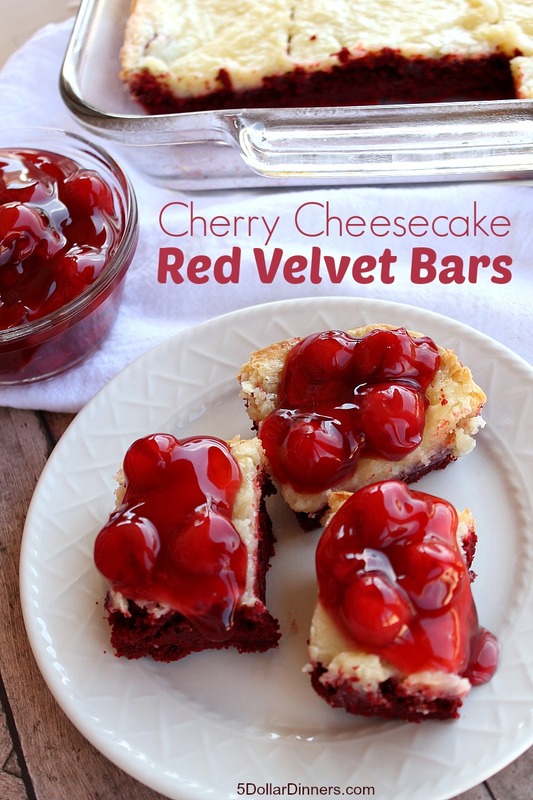 Serve Cherry Cheesecake Red Velvet Bars topped with cherry pie filling.